My theater coach Jack Featheringill said that good performances make you cry but great performances leave you with a lump in your throat. Today, I have a huge lump in my throat and my eyes can go only so far as being moist. When I heard that Steve Jobs passed away, the world became a bit blurry and moved in slow motion. 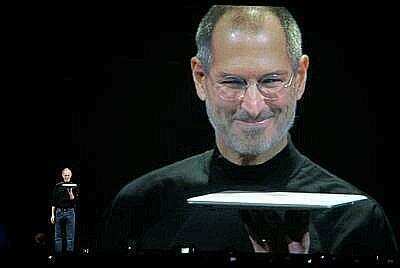 As a Silicon valley resident for the last twenty plus years, I have been privy to all avatars of Steve. I witnessed the demise and resurrection of Steve Jobs’ career a few times. He always stayed a step ahead of his own follies and foibles. I was witness to the Apple vs Intel, closed platform vs open platform wars. And a chance hand shake with him in a meeting still remains fresh in my memory. When Toy Story released, we joked that it was the first time many of the Silicon Valley stalwarts rented tuxedos and attended the premiers. He brought style to technology with the flair of a fashion designer. I have known many people who worked with him and the only thing that they all agreed on was that he was a tough boss. He was not easy to deal with and he did not pretend to be something he was not. He did not tolerate fools lightly and was unabashed about voicing his opinions. True to his nature, he remained at the helm till the last possible moment, resigning in August 2011. That should have been a hint to the world that his body was failing him. He has taken three sick leaves but never submitted his resignation. He would have resigned only as a last resort. Yet, like everyone else, I believed that Steve Jobs would beat the odds. After an entire career of being a PC user, I switched to Mac this year. When I opened the browser, Steve Jobs stared at me from the Apple home page. And that’s when the dam burst and tears came. It is understandable that his family and friends would miss him. But, what is unique is that even a by stander like me feels the pain today as family. Steve is staring at me from www.apple.com and I still cannot bring myself to talk about him in the past tense.